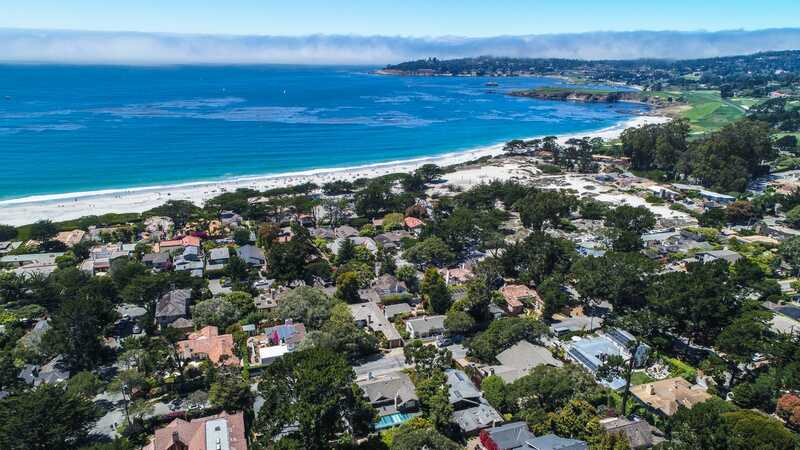 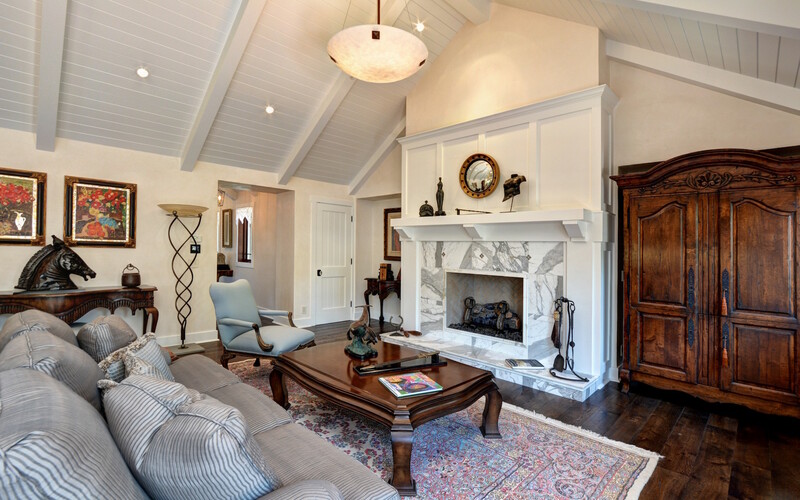 Spacious newly renovated Carmel Beach House, located just 2 blocks from Carmel's white sandy beach and only a couple more to town. 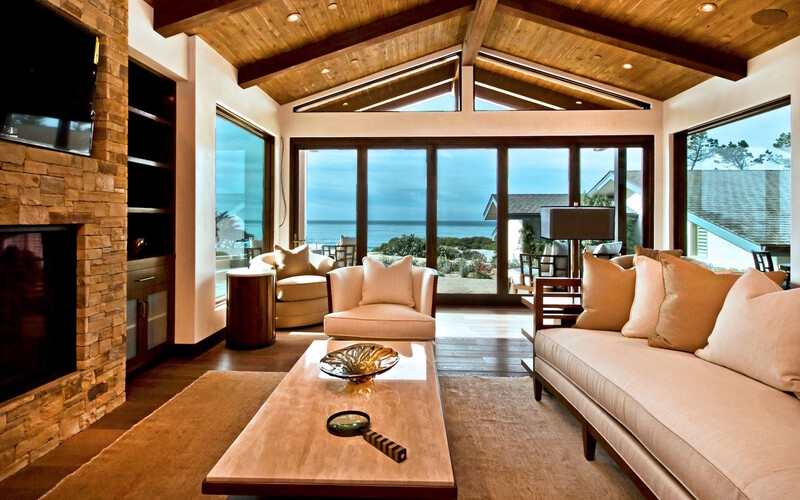 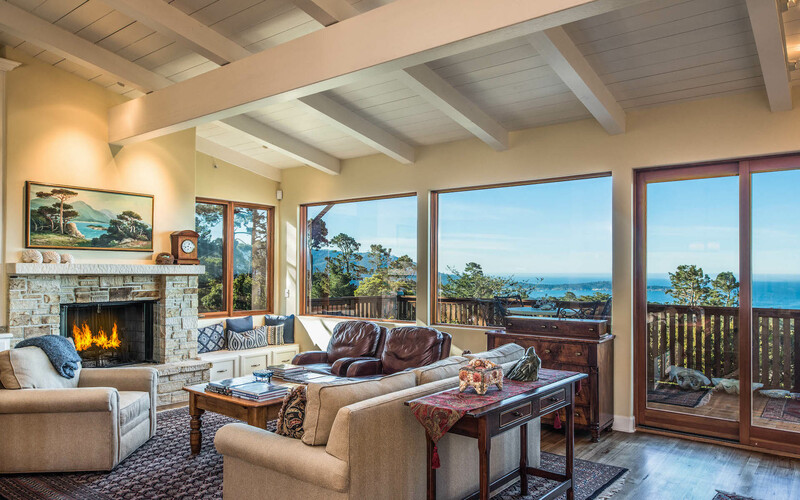 Enjoy views of the ocean and Point Lobos from this immaculate 7-bedroom, 7-bath home featuring a nautical theme with a rustic beach cottage feel, perfect for entertaining family and friends. 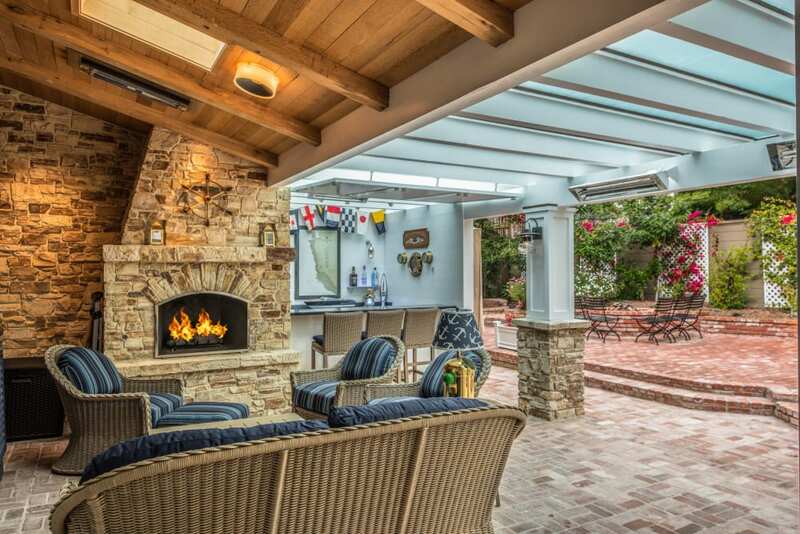 The partially covered and heated outdoor patio with convenient bar and Carmel stone fireplace offers a great area to enjoy the outdoors. 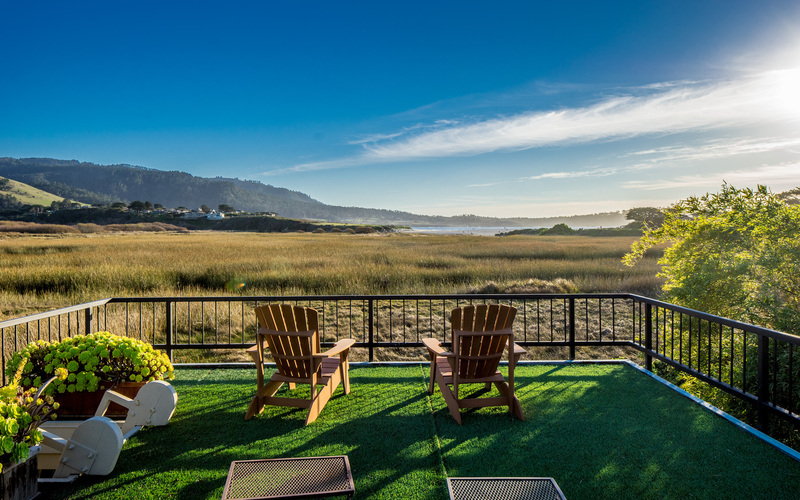 Recently renovated, this home has an open floor plan with a cedar beam ceiling living room and dining area, complete with ocean views, and a separate caretaker's quarters.